Although Kei Nishikori defeated Milos Raonic 3-6, 6-3, 6-4, 2-6, 6-4 and forced the decider for his team, however Go Soeda was beaten easily by Vasek Pospisil 7-5, 6-3, 6-4. Team Canada clinched its maiden victory against Japan and advanced into Davis Cup by BNP Paribas Quarter-finals. Day 3 started with one of the most anticipated matchups of the weekend where Kei Nishikori met Milos Raonic. It was the 7th clash of the No. 4 and No.6 player of the world leading by Nishikori 4-2 in head-to-head record. The Canadian player was the first who picked up his game earlier, took the lead and later the first set hitting 9 aces, won 89% of his first and 80% of his second serves. 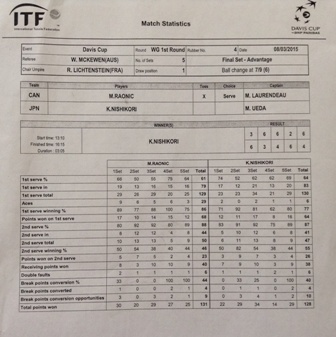 In 35 minutes later, Nishikori found his form, raised his 1st serve % to 92 (and kept his 2nd serve % also!) broke Raonic and tied the match. In the third, the key and deciding factor was the 2nd serve winning %, which made the difference between the players. Current No. 4 reached 54% while the Canadian player had only 38% and the set went for Nishikori 6-4. Surprisingly, Raonic fought back stronger in the fourth set accomplishing a flawless 1 serve winning % (100) and took the set 6-2. Then Nishikori jumped to an early one-break advantage in the fifth before Raonic roared back to even it up at 3-3. 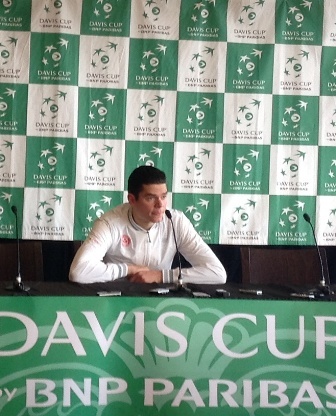 But facing break point at 4-4, Raonic double faulted and Nishikori made no mistakes in serving out the match at love. Both athletes broke each other four times in the duel, but Nishikori earned the win and now leads their head-to-head 5-2. It was the first matchup between them without a tiebreaker! Answering the question from Ubitennis if he has ever considered adding a coach to his current coaching staff who ever played in a Grand Slam final to improve the mental part of his game, Raonic’s answer was a definite “no”. He also emphasized that he thinks that Ivan (Ljubisic) is a great coach. He has a full of trust in his coaching staff. In the 5th rubber, Pospisil and Soeda – with world rankings of No. 62 and No. 86 respectively – battled closely until the end of the first set, when the 24-year-old Canadian broke to take the lead. From that point on, Pospisil was the superior player. Competing in his third match of the weekend, he didn’t face a single break point, hitting 15 aces and winning 93 per cent of his first serve points. He secured Canada’s victory in just short of 90 minutes. Canada has now secured its first win over Japan in six previous tries, including last year’s 4-1 first-round loss in Tokyo. Prior to 2014, the two teams had not played since 1938. Canada’s triumph over Japan also marks the country’s third-ever World Group victory. 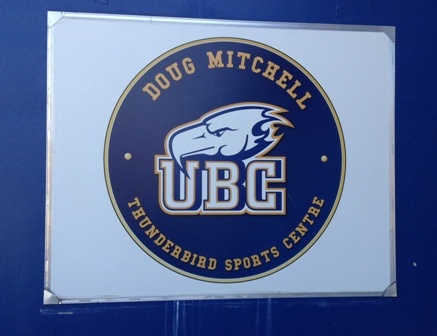 All three of these wins have taken place at the Doug Mitchell Thunderbird Sports Centre, with Canada defeating Spain 3-2 in the 2013 World Group first round and two months later beating Italy 3-1 in the quarter-finals. The 2013 season remains Canada’s best performance in Davis Cup, as they reached the semifinals before falling to Serbia 3-2 in Belgrade. With the victory, Canada has officially kept its place in the World Group for 2016, which will mark the nation’s fifth straight year in the elite 16-team category. Canada’s Davis Cup journey this year will continue with a quarter-final tie against Belgium, who picked up a 3-2 victory over Switzerland on Sunday thanks to No. 1 player David Goffin’s win in the fifth and deciding rubber. Canada will travel to Belgium from July 17-19 to play for a place in the semifinals, with the city and venue to be announced by the Royal Belgian Tennis Federation at a later date.